They say everything is bigger in Texas - like the stars at night and definitely the way we celebrate the Holidays. 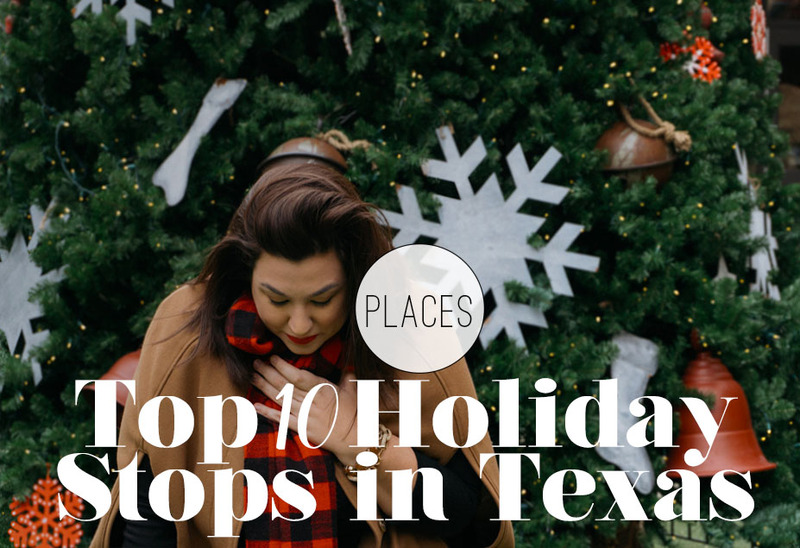 Texas takes the Holidays and makes them a spectacular way to take in all the sights and sounds of the season. Texas is a big, wide state and there are so many things to do across each city. I’ve picked a few of my favorites (many here in San Antonio) to where you schedule something fun for every single weekend this month. I’ve listed a few of my favorites below (in no particular order). I’ve also noted pricepoint and busiest times for easy planning! Happy Holidays, y’all! Just outside of New Braunfels on IH-35, this whimsical little stop is truly a sight to see when heading south from Austin. Once a year this spectacular attraction pops up and delights it’s patrons so much that you can sometimes see a line miles long adorning the highway of those waiting to get in. Don’t let that deter you though - The line goes quickly and this drive-through attraction is an amazing way to spend a Holiday night. You can stop by the concession on your way in for hot cocoa or kettle corn as well! The best time to go is during the week, so as soon as the kids are out of school, plan. trip up IH-35 for this spectacular experience. 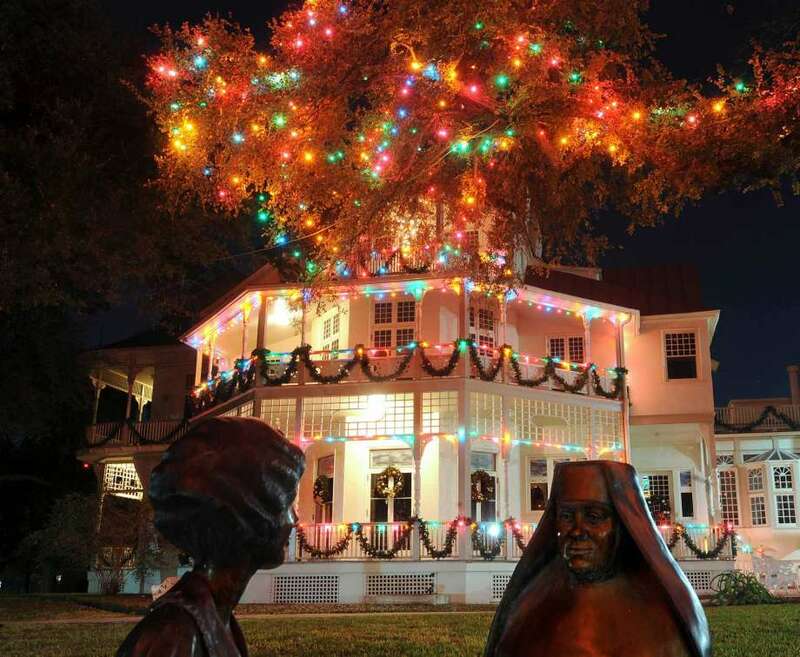 Two San Antonio staples - These are both free, easy and magical Holiday attractions. Both of these places are beautiful on their own, but when you add the festive lights and a crisp in the air — there is truly nothing like this in San Antonio. Family friendly, and easy to navigate if you have a tip. Pro tip? Grab a river taxi and enjoy the lights while you’re on your way to your next margarita stop. If you haven’t stood beneath the light tree — are you even Texan. Trail of Lights has had a pretty spotty history, but since its resurange, this is a family-favorite in Austin. It’s definitely a walk, and gets super busy but if you can make it during a low-traffic time, make sure you grab a bag of kettle corn and your best pals for this spectacular sight in downtown Austin. Take your normal drive around the neighborhood with your family during the Holidays - You’ll see lights, an occasional reindeer display. Now imagine that x 100. That’s Windcrest. This neighborhood must have some kind of requirement that if you are missing the Christmas Spirit - Don’t move in, because almost every house in the neighborhood decorates for the Holidays like its a sport (it kind of is - they have themes and contests every year). This is one of my favorite Christmas traditions in San Antonio with my best gal pals - and you should make it yours! Admission is free, but you should definitely donate to the firefighters walking around with their boots. Enchant has been making a bigger and bigger impact as the years go on. It’s an absolutely breathtaking location with so many lights, attractions and now an ice skating trail. Thats, right - trail. Enchant is right outside of Dallas, so make this a weekend trip dedicated to all things Holidays. This place truly enchants - making the name even more understandable. Most Saturdays of the month are almost sold out - so book quickly! This is one attraction you can’t miss! All aboard! This Holiday-favorite book comes to life thanks to the Texas State Railroad. Each Holiday season, the railway turns their train into a real life polar express to give a sense of whimsy and nostalgia to the Holiday season. Trips are definitely limited, so plan accordingly! Tickets and hours can be found here. Usually a beacon of learning by the gulf, Moody Gardens is a great feat on it’s own. Add ice slides, snow and a wonderland dedicated to all things winter and holidays, you almost forget you’re right next to the beach. If you could dream up the ultimate day of all of the Holiday things you could imagine - Santa’s Wonderland will exceed those hopes. Between carriage rides, a snow mountain, Santa visits a nightly entertainment show and… a winery, this really pulls out all of the stops. It’s just outside of College Station, and some hotels in the area will have shuttles that can get you to and from so all you have to worry about is getting your Christmas-spirit on! Ticket and event prices vary. Fredericksburg is charming on it’s own. A tiny little Texas town built on tradition and now boasts many popular wineries making this a fruitful (no pun intended) weekend destination. Add Christmas lights and wreaths - How can you resist? The town hosts a Parade each year to kick off the season. Admission is free to the parade, but there are a limited amount of reserved bleacher seats you can buy here. 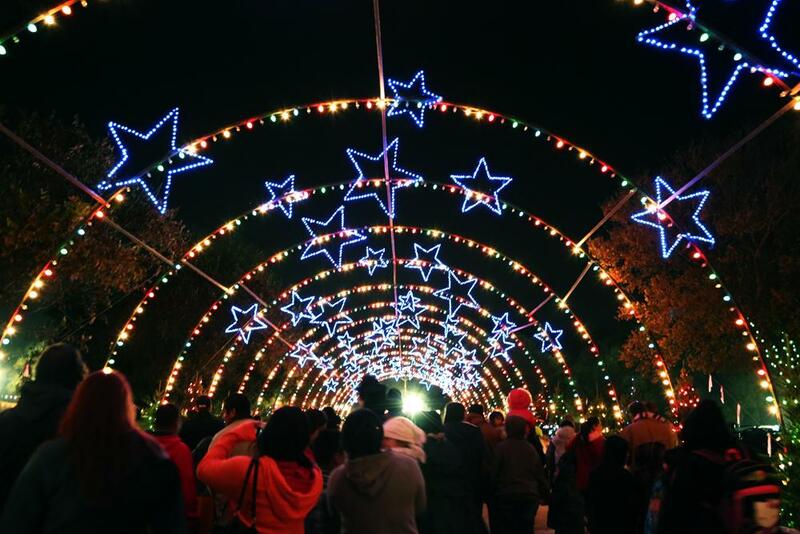 The San Antonio Zoo puts on Zoo Lights each year - A nocturnal experience that allows guests to see some of the animals at night while experiencing carefully placed Christmas lights throughout the park. They have a light show, camel rides and many, many Christmas treats along the way. Tickets: Ticket details and packages can be found here. Sunday - Friday 12:00 p.m. - 9:00 p.m.